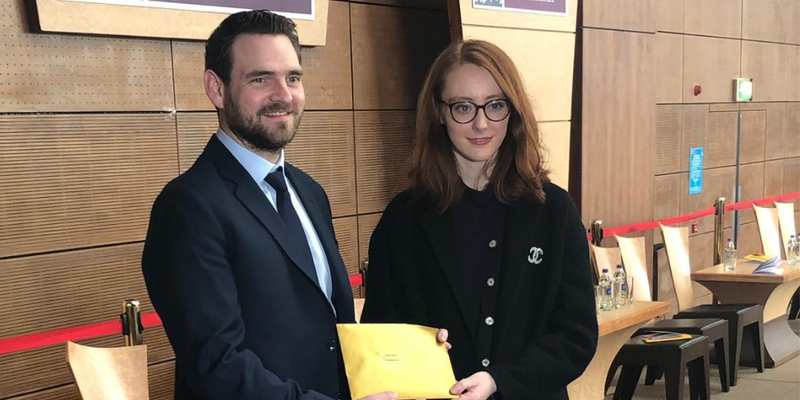 The winner of the annual LK Shields Hugh Garvey Memorial Award for Intellectual Property Law was announced on Saturday 9 February at a ceremony at the National University of Ireland, Galway. Cathal Hester, an associate solicitor based in our Galway office, awarded worthy winner Alison O'Brien with her prize. The Memorial Award is in honour of LK Shields former Managing Partner, Hugh Garvey, who sadly passed away in 2016.